Jai Lava Kusa - First half it is about Lava and Kusa and Second half it is about Jai Ravan Maharaj (all three posing as Ravan, Jai's alter ego). As an actor, NTR did what he does best and scores the maximum. Even the seasoned villains portrayed in this movie fall pale in comparison to NTR's role with negative shades (Jai). The other two roles too fall short as their appearances also end by interval. Majorly 'Jai' centric movie that it does not have much scope for the lady leads as even the songs are primarily choreographed on NTR. He does an all-round show and appreciably carries the whole film on his efforts. Direction is good and screenplay is better, especially during NTR's stage scenes. Supporting cast is adequate and release has been on a good date (21/09 - 21=2+1=3 / 09=3+3+3). Climax is a low point though story has a strong point. Nevertheless, for fans, it is a refreshing 'cool joint'; offering the lead actor, a fair point. 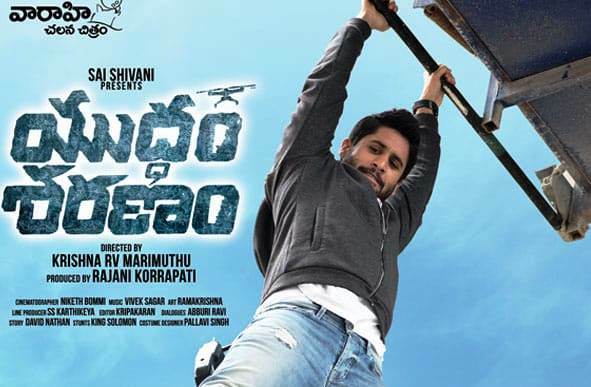 Yuddham Saranam (War, the last resort) - A family movie with a revenge story coupled with technology and tactical play. Better performances by the lead actor, supporting cast and tight screenplay. But the cherry on the cake performance is of the main antagonist by seasoned actor Meka Srikanth (MS). The movie could have fared better had it been made/released a few years ago considering the technology usage and conveyed message. However, it is a clean effort with no further spoil-sport. MS has done exceptionally well and the script is beautiful with no non-sense songs and dance, rendering a right balance. A simple attempt with ample content which does not dampen the intent.